Facial Hair? Here’s How You Can Remove Them! Hair is indeed a sign of beauty but they are not loved when they grow on your face. This is a common issue faced by most women these days. It is often associated with hormonal imbalance. Here we will give remedies to get rid of the facial hair in no time with no side effects. YOU CAN ALSO LEARN MORE ABOUT THE BENEFITS OF BUTTERMILK HERE FOR YOUR SKIN HERE!! We understand the fact that hormonal imbalances can affect the growth of normal hair on your skin. But here we will give recommendations for the removal of facial hair. These remedies are practiced and do not have any side effects. Egg white is rich in nutrients and benefits for your skin. This egg white mask will help in reduction of the hair growth and it will also help in removal of the already present facial hair. Simply take a bowl and remove the egg yolk and leave the egg white. Now beat it until a smooth consistency is obtained. Apply it on your face and let it settle for some time. When it is completely dried, peel it off quickly. This will not only remove the hair but it will also give the glow to your skin. Okay! You definitely need to throw away all of those chemical bleaches and waxes away. Because this lemon and sugar face mask is the best and most convenient method to get rid of facial hair. 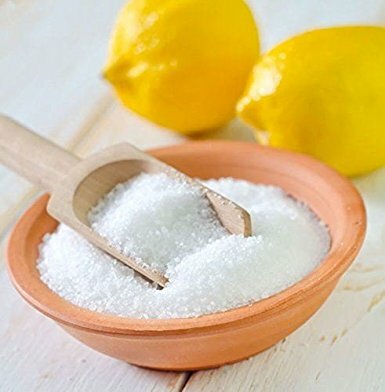 You simply need to take two tablespoons of sugar, almost two teaspoons of lemon juice, and ten to twelve teaspoons full of fresh water. Now place the pan with all these ingredients on the stove and heat it. Once hot enough, remove it and let it cool for some time. Now apply this on your face and let it dry for almost 15- 20 minutes. Once dry, peel it off alongside the ugly hair! Recipe Of DIY Natural Deodorant For Hot Summers!